In the heart of London’s financial district of steel and glass there is an occasional gem. Just behind the “Walkie Talkie” and not as far as the Gherkin sits the now gleaming white Asia House. The iron framed building, clad with white glazed terracotta, or faience, badly needed repairs to its rusting skeleton. From the sky down we replaced course after course in white Portland precast units, to be painted in various subtle shades of Keim paint, to match. The scope included flat ashlar panels along with moulded window heads, jambs and mullions. 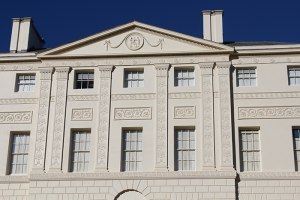 We also replaced string courses with “bead and reel” design and the first floor cornice, corbels and angled interlocking voussoir head units. On the ground floor we produced a full scale column model and silicone mould to manufacture a number of replacements in GRC. 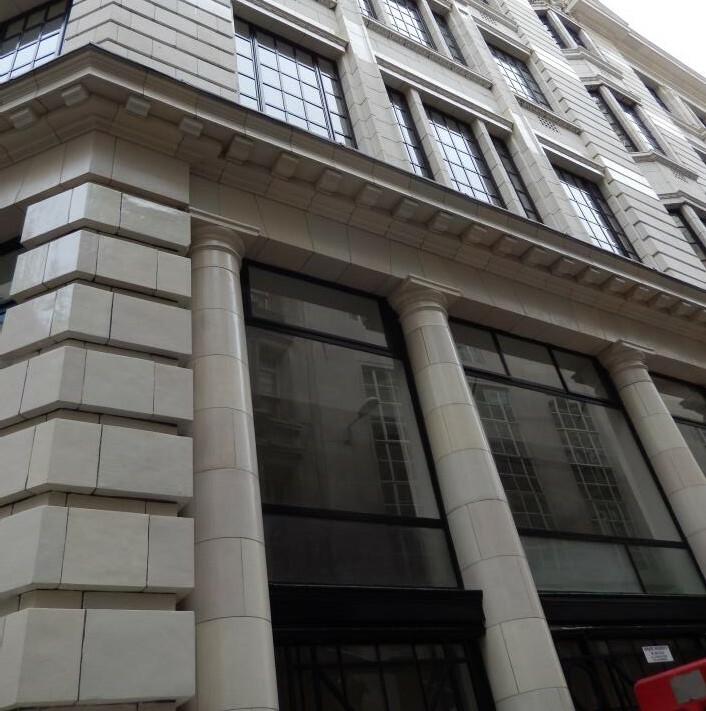 When you look at Asia House the GRC, the precast stone and original faience are indistinguishable and blend in well. © Artificial Stone 2019. All rights reserved.